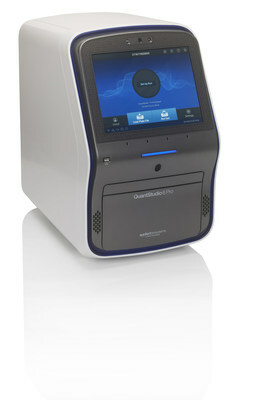 The QuantStudio 6 Pro Real-Time PCR System leverages advanced capabilities, such as facial authentication and voice-activated commands, to maximize efficiency and increase productivity in the laboratory. CARLSBAD, Calif., April 15, 2019 /PRNewswire/ -- Thermo Fisher Scientific today launched the Applied Biosystems QuantStudio 6 and 7 Pro Real-Time PCR Systems, the world's first Smart qPCR instruments. Capabilities include facial authentication, voice commands, radio-frequency identification (RFID)-enabled plate scanning, and quick access to service and support with a single touch.